Get inspired! 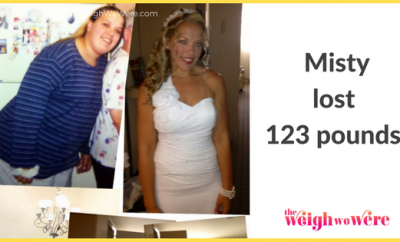 How one woman had successful weight loss. Autumn Mastroianni, 28, a registered dietitian in Danville,Kentucky, wasn’t always so healthy. Her meals once consisted of carbs and fats, and few fruits or veggies. At 183 pounds, when she couldn’t find non-plus-size clothes to fit her 5’5″ frame, she overhauled her diet…and her life. Throughout her freshman and sophomore years of college, Autumn watched the number on the scale skyrocket. A semester abroad inGermanywas the final straw. “I enjoyed everything too much— sausage, cheese, chocolate, and beer,” she says. “I’d always been heavy, but I never felt out of place. Then I went to Europe and saw that no one was as big as I was,” Autumn recalls. When she returned home in September 2002 and had to buy plus-size clothing, she vowed to slim down. Swapping extra helpings of carbs for veggies and whole grains, banishing caloric beverages, and halving meat portions all helped Autumn shed 25 pounds. Then she started doing regular cardio and strength-training workouts, and she changed her major to nutrition sciences and dietetics. 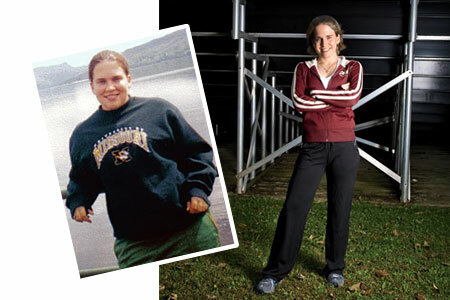 By September 2003, Autumn was down to 120 pounds. She hasn’t gained an ounce since graduation, and now counsels others about proper diet. “My job motivates me to stay healthy,” she says. ← Previous Story Couple goes to Mexico for Weight Loss Surgery and Drops 215 LBS!! !